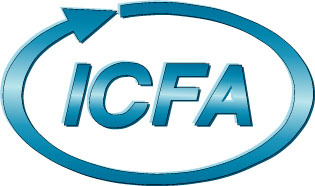 Hilarity Ensues: What Does ICFA Stand For? Naturally, I turned to Google Images, searching for a couple of names to try to match faces with names. Then, for fun, I tried a Google search for ICFA. Note that 9 out of 11 (counting my conference) use the I as International, though only #8 isn’t in English (though #10 is based in the Netherlands). Also notice how the final A is used: usually as Association, but also as Administration, and (my favorite) as Alliance. But even more intriguing is the visual rhetoric of the logos used by all these different organizations. I mean, of the following, how many of the following images are obviously attached to one of the above organizations (or would be without the words in the image)? Generic icon-creation is intriguing from a visual rhetoric perspective: is it better to be safe, yet bland? Which leads to the pressing question of authenticity. 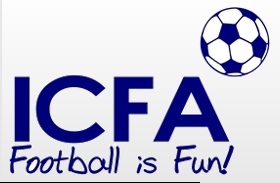 That is, which is the real ICFA, and which is the . . .
14. Harry Potter Panel: a lovely conversation with other Harry Potter fans, hosted creatively by 4 USF graduate students (none from the English dept!) who each represented a different Hogwarts house and proposed new Hogwarts “classes” for the audience, including a class on queer theory, on mothering/female identity/hospitality, non-human magic users, and feminist role models/fan creations. (I butchered those descriptions, by the way; their course descriptions were far cleverer.) A bonus: dressing up in their house colors! 17. Remixes, Roleplaying, and Real-World Skills: Audience Interaction with and Response to Digital Media: I successfully gave my paper on videogame remixes and humor in instrumental music as seen at OverClocked ReMix, while Heather Osborne presented some results from an intriguing survey of gamers about how they perform gender in-game. Most intriguing to me was her finding that players whose avatars performed gender differently than the player would sometimes be challenged in positive ways when they found themselves doing something in-game that made them feel uncomfortable, since they were trying to make their character as internally consistent as possible. 32. Indigenous Futures on Film: I was honored to see the short film Pumzi, which I guess I could describe as an SF eco-feminist vision of a post-apocalyptic African dystopia–but that doesn’t do justice to the beauty, quiet, tension, and tone of the film. Seriously, it’s about time I learned more about non-Western SF. 43. Mix it up: Literary, Historical, and Fannish Remixes and Mash-Ups: Perhaps my favorite panel. An informal conversation between fan fiction author and scholar Barbara Lucas, lawyer Lisa Macklem, folklorist Sarah Carpenter, and fiction author Candas Jane Dorsey. Very quickly it became evident that Dorsey, as an author, wasn’t a fan of people remixing plot and characters from other works, while practically everyone else thought this was a valid and important way for fans to respond to the stuff they love. Sure, it was occasionally tense, but we all did a good job of being civil and hashing out some tough ideas at the most practical level. 57. Words and Music: Okay, this one was actually my favorite panel. Four folks who were specialists in both writing and music, all giving us a mix of their informal thoughts and mini-performances. Little do they know that they’re on my dissertation radar and will be getting emails from me before long…. 65. Mirth, Mischief, and Mystical Melodies: Music Fans and Communities: See Heather’s post about this fun (if under-attended), informal conversation I was honored to moderate. Two fun chats with USF colleague Jessica Eberhard–once with Karen Hellekson (about online publishing, among other things) and once with Mads Haahr (about gaming environments and multidisciplinarity, among other things). Finding out that Isabella Van Elferen has written about both 1) music in Lost and 2) musical rhetoric, making her my new favorite person ever (but in a non-creepy way). I’m shy. I hide it pretty well, but it’s tiring for me to meet new people. But despite that hold-up, I had so many friendly conversations with folks that I can’t even start to list them all. That’s the main thing I’ll remember about ICFA this year: that I’ll look forward to returning not just for the scholarly conversations (and the free books!) but also for the friendly-talk and smiles. Discovering that despite a generally low-tech atmosphere (I was usually the only one tapping notes into a computer; 90% of papers were just papers without PowerPoint or supplement of any kind), there was a friendly, helpful series of tweets using the #icfa hashtag. Karen Lord’s first novel Redemption in Indigo, which I picked up in the book room and almost-almost bought on the first day, deciding at the last minute on something else–which I now regret. Karen Hellekson wrote an intriguing post recently, suggesting that humanities scholarship take some cues from the sciences when it comes to purposefully surrounding articles with descriptive titles and perhaps even abstracts and keywords. She reminds us that, you know, that would make the stuff easier to find. And when we’re drowning in scholarship, ease-of-use and ease-of-getting matters, especially if it’s true that only 10% of humanities articles are ever actually cited. We straddle so oddly between humanities and social sciences, preparing MLA-style manuscripts for CCC and then preparing APA-style manuscripts and walking through the abstract-necessary, keyword-crucial Elsevier site for Computers and Composition. We really, really love the cutesey titles. And I use “cutesy” not disparagingly, but as someone who gets a kick out of the relentless wordplay summoned when a host of rhetoricians and writing teachers decides to do its very, very best to get a smile out of everyone who reads the title. Side thought 1: does the presence of a discipline-specific, volunteer-driven citation organization like CompPile lessen the importance of metadata for us? A skillful citation-recorder should be able to skim an article, even with cutesy title and no keywords, and still associate the citation with a few helpful keywords for that database, right? Side thought 2: I’m even writing this meandering post at all because I still remember a brief conversation I had about tagging with my expository writing students a few weeks ago. I was emphasizing (and this is going to be a remarkably unspecific, lousy summary) how Clay Shirky sees metadata as saving digital writing from the shackles of print-based models of organization. It’s tags, all the way down. (My class was a bit unimpressed by the concept.) And the more we find ways to use metadata systems that are tag-based but seamless for users–like mining clearly written titles for tagging info–the better our structures of organization will be. I think. I’ve been reading Dracula lately, inspired by 1) the list of top free books for the Kindle on Amazon, and 2) seeing Nosferatu for the first time a few weeks back. It’s a good read, if creepier than I expected for an 1897 novel, but I can’t get past one thing: the number of times Stoker uses the word whilst. I know it’s technically correct (these days archaic in the U.S. but fine in the U.K., says Grammar Girl)–especially for Stoker’s day–but it leaps out at me every time. There at the very top, mocking the rest of the words, is that dirty little whilst. Though I don’t have a count, it looks to have shown up about as often as other crucial Dracula words like death, opened (as in, “opened the crypt,” “opened the coffin,” “opened his mouth to reveal fangs”), and strange–and it may even be more prevalent than dark, though it’s hard to say.